Mike grew up in Indiana and then earned a degree in accounting from Brigham Young University and an MBA from Indiana University. After jobs with General Electric and as a financial planner, he took an opportunity to work with a startup fine art foundry in Georgia. From there, Mike moved to work for a Utah foundry and soon started his own in 1992. Mike’s favorite parts of his work are the people he gets to work with, finding ways to do things others think can’t be done, and seeing a customer thrilled with their finished sculpture. Mike’s hobbies include running (with the favorite route being up a dirt trail in a nearby canyon! ), camping (not nearly often enough), volunteering at his church, reading, and vegetating in front of a good movie. He loves to sing and used to do an Elvis Presley impersonation…and can still do the signature knee spin. Michelle is originally from Kansas and also went to Brigham Young University where she earned a degree in Elementary Education. She makes a great impact in the office at Baer Bronze by working directly with employees and vendors. When she's not at the foundry she enjoys gardening, raising chickens and bees, quilting, canoeing, hiking and camping, road biking, and spending time with family. Jamey has made a great impact at Baer Bronze by incorporating his background in the manufacturing and design fields. He got his bachelor's degree in industrial design which has helped him bring a creative approach to producing bronze castings. His passion for the guitar has allowed him to perform in countries like Brazil, Argentina, South Korea, China, and all over the US. He loves burritos, Star Wars, Star Trek, the Lord of the Rings trilogy, and his wife and 5 children. He would like the world to know that he is aware that he should have been a ballerina because he has the grace of a swan. 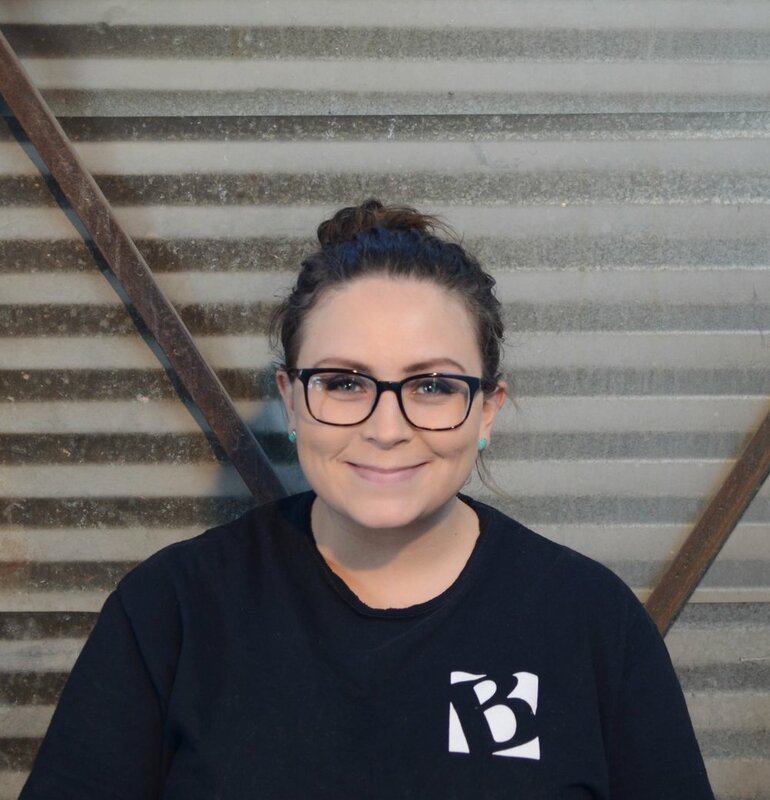 Emily has grown up around the foundry process her whole life, while spending many of her formative years wax chasing, sandblasting, cleaning, and doing foundry office work. 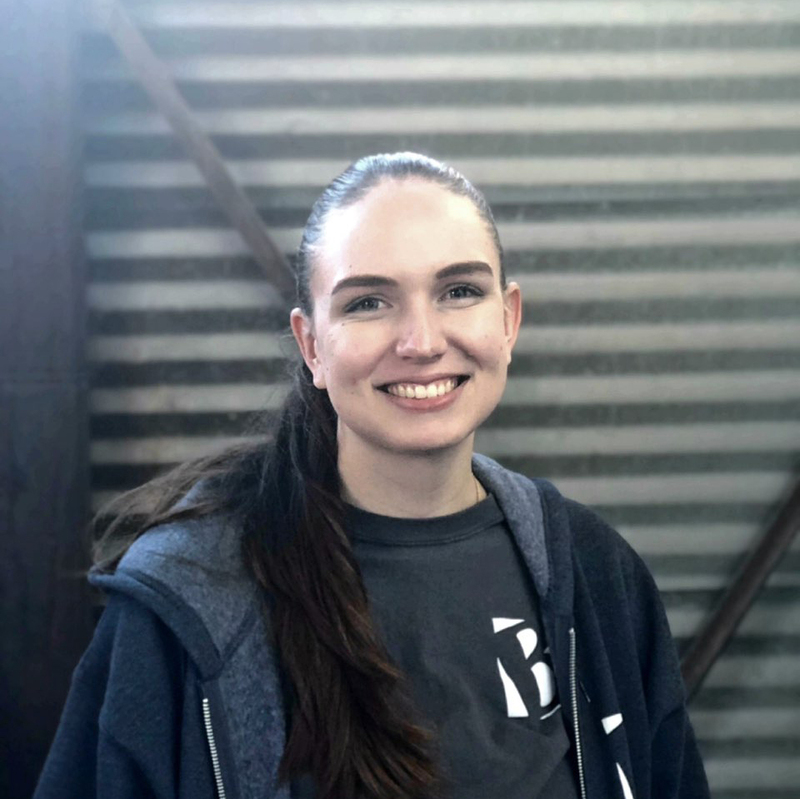 She joined the Baer Bronze team full-time after completing her degree in Recreation Management at Brigham Young University. Emily spends her free time biking, rock climbing, and using any available time to dabble in interior design. She takes great pride in her spirit animal, the wolf, and believes that her soul is still stuck in the 90's. Meet our full-time production team! Our lead wax chaser & gating engineer, Blaine has 36 years of foundry experience. He was a pioneer in exotic patinas and has considerable experience in metalwork and mold making. He is also a professional sculptor whose work can be found in the Carmel Art Association, Ramey Fine Art, and other fine art galleries. Despite his best efforts however, he is not an accomplished singer. Joe is our resident "Jack of All Trades" and is skilled in pretty much every area of the bronze casting process. He is particularly skilled at mold making, slurry dipping, and quality control. Joe's art background includes sculpting, pottery, drawing, and working with clay in it's many forms. We are lucky to have Holly on our team as she has made an impact in many departments, most recently focusing in the metal shop. She is a well rounded mixed-media artist who also enjoys wood working, drawing, painting, and ceramics. Holly's favorite food is rice and favorite book is "The Great Divorce" by C.S. Lewis. She is a dog breeder of adorable chihuahua mixes and her patronus is a ground snake. Tane has quickly become a talented wax worker, joining us after completing his BFA in sculpture at Brigham Young University - Hawaii. There he also earned a BA in painting and a certificate in graphic design. He’s not only talented in those 3 areas, but is an accomplished carver, particularly in wood & bone carvings. 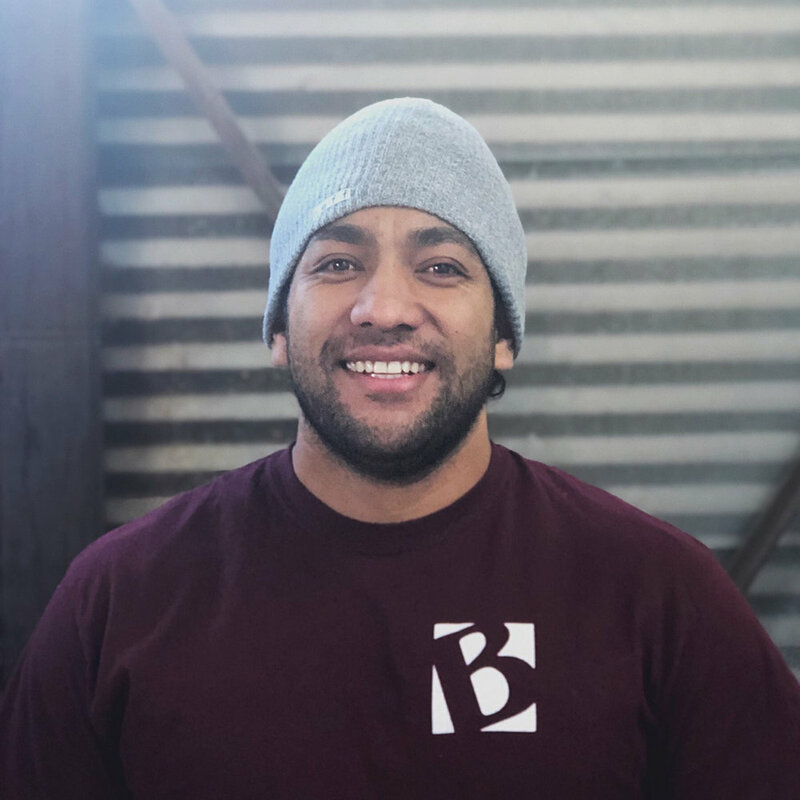 A native of Tonga, Tane loves all sports, especially rugby, and recommends trying Otai, a delicious Tongan fruit drink. If you have ever been to the Polynesian Cultural Center in Hawaii then you’ve probably seen him perform the lead in their popular night show “Ha Breath of Life”. Hayden is an experienced metal worker in welding, chasing, fabrication, and casting. He started at Baer Bronze in 2013 and has been an invaluable member of our team ever since. His favorite part of his job is welding. If Hayden could only eat one food for the rest of his life he would choose Sushi (a family favorite perhaps?) He seems to be in the right place because his spirit animal is a bear! Zac is our lead metal chaser, welder, fabricator, and also works in casting. With only 9 years experience at Baer Bronze, Zac is absolutely one of the best metal workers in the business. He has also received the following certifcations from the Mountainland Applied Technology College: Gas Tungsten Arc Welding (GTAW), Shielded Metal Arc Welding (SMAW), the Blueprint, Symbols, Testing and Inspection Certificate, and the Thermal Cutting Process Certificate. Some fun facts about Zac are that if he could only eat one food for the rest of his life he would eat sushi, if he could choose any super power it would be super strength, and his favorite book is "The First Law." Brogan has a fun background in art, starting with sculpting and painting which led him to get involved in designing and making film props. Some of his favorite props he has made are latex monster masks and creature design. He is well rounded in many departments and currently makes a big difference as an apprentice in the patina department. Brogan's favorite books are anything by Stephen King or Chuck Palahniuk, he speaks fluent Spanish, and can conjure a badger patronus. 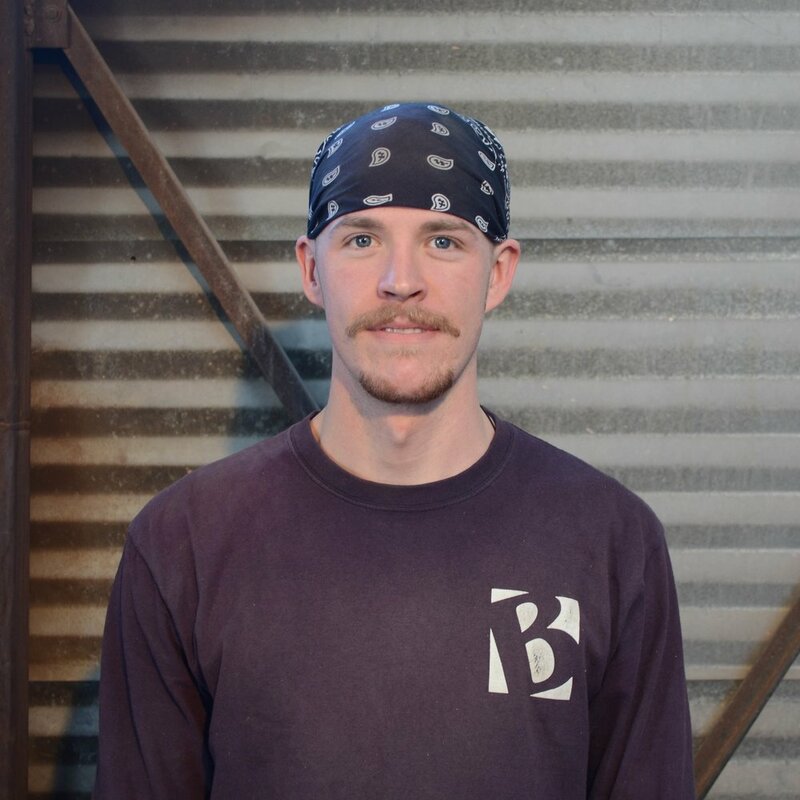 Adam joined the Baer Bronze team after completing his BFA in 3D Art at Weber State University. He is a talented artist that picked up mold making very quickly. You can also witness his talents all throughout the month of October, as he is also a professional pumpkin carver! 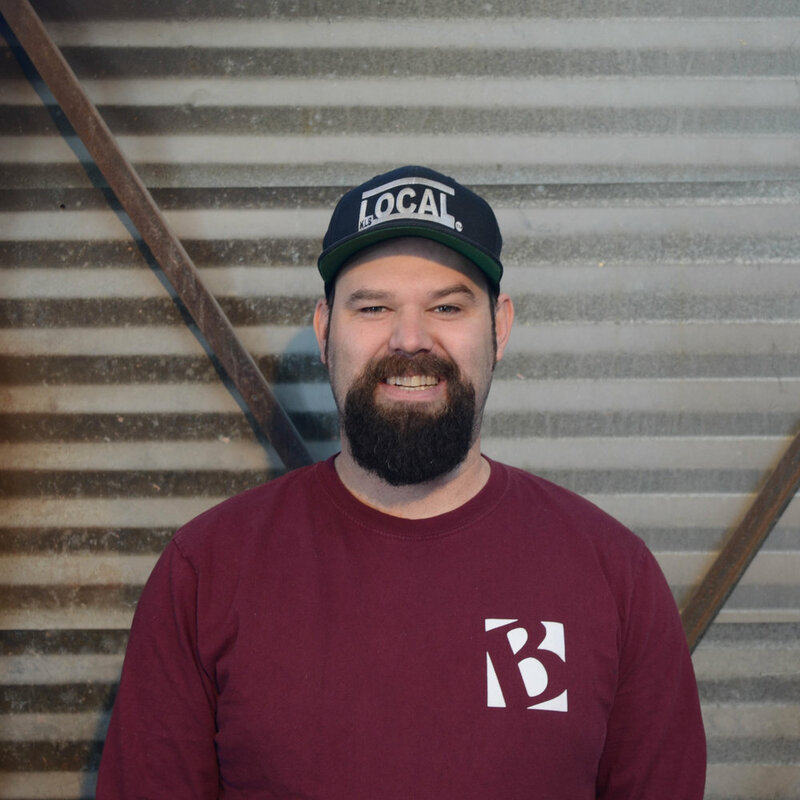 Adam is known around the foundry for earning the most eye rolls with his "Dad Jokes" and is proud to say he speaks in fluent sarcasm & puns. If Adam were an animal he would be a muskrat and if it were karaoke night he would delight us all by singing "Psycho Killer" by the Talking Heads. Alison started at Baer Bronze in 2016 after completing her BFA in Visual Arts: Sculpture Emphasis at Brigham Young University. She started her schooling by studying drawing and painting but was quickly converted to sculpting. She is now a very talented wax chaser here at Baer Bronze! Some fun facts about Alison: if she could pick someone to play her in a movie of her life, she would choose Angelica Huston. Her self-proclaimed spirit animal is a buffalo, and her favorite movies are "The Grand Budapest Hotel" and "When Harry Met Sally." Bill is one of a handful of master patina artists in the country. He is also an accomplished sculptor and painter. His knowledge of anatomy, sculpting and painting skills inform his decisions when applying his highly sought after patinas. Bill's song choice at karaoke night would be "Bohemian Rhapsody" by Queen, and if he could choose someone to play him in a movie of his life, he would pick Morgan Freeman, obviously. Nathanael has quickly made an impact at Baer Bronze in the slurry, casting, and metal prep departments. He has an impressive background in welding & fabrication as he is trained in Gas Metal Arc Welding (MIG) and earned the Blueprints, Symbols, and Thermal Cutting Process Certificates from Mountainland Technical College (MTECH). He loves sushi and all Italian foods, can quote all of A Knight’s Tale, and was initially surprised by his patronus, but now proud to say it is an English Stoat. Nathanael has a love of reading, particularly fantasy novels and recommends Harry Potter, the Sword of Truth series, and The Dresden Files. Learn more about our process!